Managing critical infrastructure and assets in highly regulated, and data, capital, and resource intensive industries, requires intelligent and standardized integration and interoperability frameworks within complex systems with components provided by multiple and disparate suppliers and stakeholders. Owner/operators and their major supply chain partners are looking to industry standards-based interoperability frameworks such as the Open Industrial Interoperability Ecosystem (OIIE) to provide adaptable, repeatable, scalable and sustainable solutions at substantially lower cost than many of the ad-hoc point-to-point integration strategies in use today. Many of the critical assets in the resource industry have long legacy histories of manual data collection which provide additional challenges, and failures tend to be highly visible and immediately destructive to market capitalization. We will briefly discuss and highlight industry initiatives addressing these challenges. 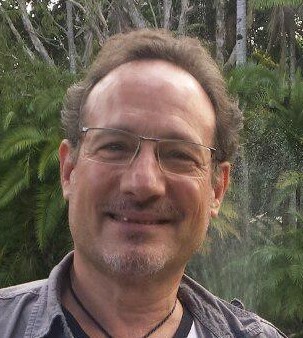 Jess B. Kozman is the Asia-Pacific regional representative for the Professional Petroleum Data Management (PPDM) Association, and the founder and Managing Director of CLTech Consulting Pte Ltd in Singapore, where he works as an independent data management practitioner. 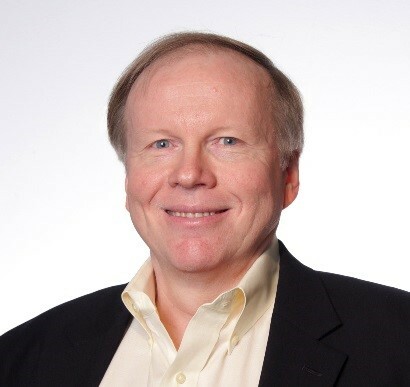 He is a globally recognized expert on aligning optimum accepted data management practices with organizational growth strategies, and has worked onsite for the largest oil and gas, mining, and oilfield services companies on the planet. He has over 30 years of experience in oilfield operations, IT management, service delivery, project management, and team development, and is a sought-after speaker and workshop facilitator at data and information related conferences around the world. Mr. Kozman holds a patent for the application of predictive analytics to offshore oilfield production equipment, is the developer of the Business Intelligence Management Maturity Matrix Metrics Methodology (BIM5), and the trademarked PLANET strategy for aligning data management projects with the business. While there is general understanding of technical engineering requirements for asset management, there is less known about the management, policy and governance aspects of Engineering Asset Management (EAM). The International Standards Organisation ISO 55000 Asset Management challenges us to respond more broadly about the issues surrounding EAM, being focused as a management standard rather than as a highly technical standard. The changing approach to EAM through ISO 55000 and the consequent changes in leadership, management and organisational policy and strategy are considered. The maturity of organisational Asset Management and associated firm characteristics are outlined and a framework for understanding the ‘M’ in EAM is put forward. Professor Kerry Brown is currently a Professor of Employment and Industry in the School of Business and Law at Edith Cowan University, Perth Western Australia. She obtained her Ph.D degree from Griffith University in the field of Industrial Relations and Policy in 1989. Professor Brown has published extensively in areas related to organisational management, asset management and public management research. Active in applied industry research, she has been awarded nine Australian Research Council Linkage Grants and other commercial research funding including Cooperative Research Centre and national competitive grants. 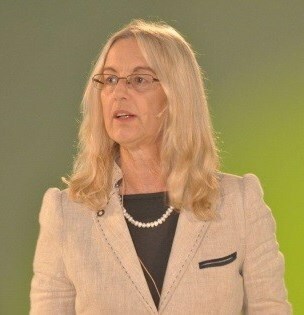 Professor Brown has also served as consultant for many organisations, including local, state and federal governments and community organisations. She is currently a Founding Fellow and Board Member of the International Society of Engineering Asset Management, a Board Member of the Australia and New Zealand Academy of Management and a member of the Technical Committee TC251 for ISO55000 Asset Management. The Fourth Industrial Revolution (aka Industry 4.0) is changing the way manufacturing is performed globally. Smart technologies are opening the door to new opportunities leading companies to achieve higher productivity and higher levels of competitiveness and, at the same time, face new barriers and risks. Concerning the assets and operations in a factory, Industry 4.0 enhances what past approaches, such as E-maintenance and Intelligent Maintenance Systems, have achieved. Technology enablers of business change are promising significant opportunities to improve the capabilities of industrial plant operations management, including maintenance and asset life cycle management. Within this framework, the radical digitisation of operations, using key related technologies such as the Internet of Things, Cyber Physical Systems, and Big Data Analytics will eventually provide the components for building advanced systems for asset life cycle management. This presentation will highlight the new opportunities provided by Industry 4.0 and reflect on the digital readiness of companies embarking on the subsequent transformation to advanced asset management. 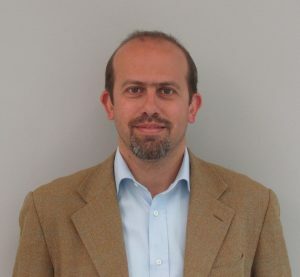 Marco Macchi is an Associate Professor at Politecnico di Milano, Department of Management, Economics and Industrial Engineering. He is the chair of the IFAC Working Group on AMEST (Advanced Maintenance Engineering, Services and Technology), the vice-chair of the IFAC Technical Committee 5.1 Manufacturing Plant Control and Book Reviews Editor and Editorial Board Member of the International Journal of Production Planning & Control: The Management of Operations. He is also a member of the IFIP WG 5.7 Advances in Production Management Systems and a Fellow of the International Society of Engineering Asset Management. In his research activity at Politecnico di Milano, he is responsible for several European funded projects in the fields of smart manufacturing, maintenance and industrial sustainability. Furthermore, he is responsible for the Observatory on Technologies and Services for Maintenance and is Research Co-director of the Observatory on Industria 4.0 of the School of Management at Politecnico di Milano. 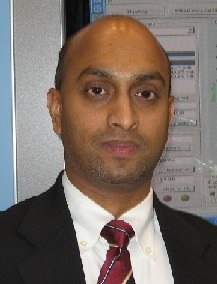 His research interests are advanced production systems, maintenance management, and asset life cycle management. Several standards and systems have been developed to protect high value assets such as turbomachinery. Even so, some of these critical machines continue to fail with very little warning of impending failure to operators. Most of these failures are due to overloading which causes excessive alternating stresses and related fatigue damage. General fatigue failures occur from stress-based conditions which can be tracked by vibration measurements. When abnormal conditions occur, the stresses reach near yield conditions at failure locations. The life of machine components depends on strain-based estimations. Several failures have gone undetected in recent years due to the limited effectiveness of the prognostics capability in real time protection systems. ISO 13381-1:2015 provides guidance for the development and application of prognosis processes. The standard provides guidelines for monitoring and estimating remaining life for failure events based under the prevailing conditions of steady and unsteady stresses. In this paper, such critical failures are described, investigations on lifing of these machines are presented and methods of predicting life are discussed for taking preventive steps before failure occurs. Since the turn of the new millennium, three major events, namely, global warming, resurgence of China and 911, have greatly affected the way we live and triggered renew interests in the study of resilience. In particular, 911 has heightened security concerns leading to the study of resilience of critical infrastructures. The emergence of China as a low cost manufacturing hub has transformed traditional supply chains to complex global networks which are multi-layered and intertwined. The degree of interdependence has increased and has motivated the study of supply chain risk and resilience. Global warming has intensified studies on issues related to sustainability; of which resilience of energy systems has been a key subject of interest. It is also generally recognized that global warming has led to extreme weather conditions and has induced more natural disasters that pose threats and disruptions to critical infrastructures and supply chain systems. At the confluence of these studies, it calls for a comprehensive treatment and definition of resilience to cater for its future evolution and applications in many diverse domains. In particular, a comprehensive and yet actionable metric should be developed to measure resilience. In this presentation, a review of the current state of resilience research and a unifying framework to quantify resilience will be discussed. In particular, we shall focus on “connecting the dots” by relating resilience to security, energy and supply chain risk. The key purpose is to look into resilience metrics that will aid systems design which is the tenet of engineering practice. Professor Loon Ching Tang is currently the Director of Temasek Defence Systems Institute and a full professor of Department of Industrial & Systems Engineering at the National University of Singapore. He obtained his Ph.D degree from Cornell University in the field of Operations Research in 1992 and has published extensively in areas related to industrial engineering and operations research. He has been presented with a number of best paper awards including the IIE Transactions 2010 Best Application Paper Award and 2012 R.A. Evans/P.K. McElroy Award for the best paper at Annual RAMS. Professor Tang is the main author of the award-winning book: Six Sigma: Advanced Tools for Black Belts and Master Black Belts. 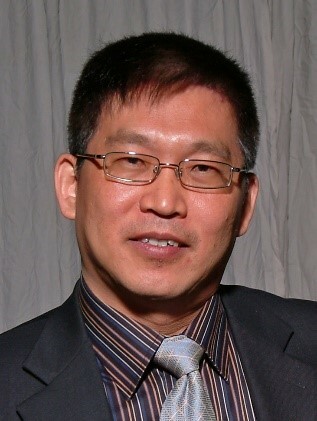 Besides being active in the forefront of academic research, in the last 25 years, Prof Tang has served as consultant for many organizations, such as the Ministry of Home Affair, Singapore Power Grid, Republic of Singapore Air Force, Seagate, HP, Phillips, etc, on a wide range of projects aiming at improving organizational and operations efficiency; especially through better management of engineering assets. He is currently a fellow of IAEAM, the Editor of Quality & Reliability Engineering International and a member of the advisory board of the Singapore Innovation and Productivity Institute. Select observations from over 200 facilities visited in just the past seven years will be shared to support the topics discussed. Dr. Blache has over 35 years of experience in various areas of manufacturing and lean applications. Included are areas such as lean implementation, reliability & maintenance, competitive analysis, continuous improvement processes, new facility planning and implementation, industrial engineering, ergonomics, and change management. He has published and lectured globally in numerous technical and management areas. His most recent book is The Relativity of Continuous Improvement (2015). 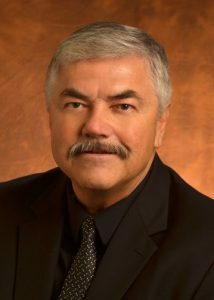 Klaus is currently at the University of Tennessee as the Director of the Reliability & Maintainability Center (www.RMC.utk.edu) and Research Professor (College of Engineering). The Reliability and Maintainability Center is a university – industry association dedicated to improving industrial productivity, efficiency, safety, quality & profitability through advanced reliability and maintenance practices, technologies and management principles. The UT – R&M Center focuses mainly on initiatives that help companies attain and sustain top quartile performance. Prior to that, three of his industrial assignments at General Motors were Manufacturing Engineering Director (Cadillac), Global Manager – Mfg. Reliability & Maintenance, and Manager – Corporate Industrial Engineering. He was also a Chairman of SMRP (Society of Maintenance and Reliability Professionals) for two years. Professor & Chair, Cluster on Industrial Asset Management (CIAM), University of Stavanger, Norway. Modern engineering assets undergo major transformations due to changing industrial dynamics. The effects of Industry 4.0 and IoT have already begun to manifest in various parts of the world. Ongoing changes have generated new opportunities and at the same time have provided new dimensions of complexity, vulnerability, and uncertainty. Resolving new challenges demands new efforts to capitalize on the body of knowledge and to harness new ideas through a creative process. We bravely have to raise and address difficult questions related to a rapidly changing environment. We also have to identify and develop strategic imperatives to stay defensive. This keynote shares specific joint initiatives undertaken in the offshore oil & gas production sector to resolve immediate and practical challenges encountered in the current dynamic and complex environment. The talk will present grass-root projects initiated for the development of defensive solutions and the rationale behind them. The primary focus will be on selected strategic imperatives such as; Data, Risk, Human capital, Engineering projects, and Economics that will have a major impact on the success or failure of future asset management regimes for high-risk assets. Professor Jayantha P. Liyanage has been the Chair of the Cluster on Industrial Asset Management (CIAM) of University of Stavanger, Norway since 2005. He is the Program director for two Master programs; Industrial Asset Management, and the Experience-based program in Technology and Operations Management. He is a member of the Norwegian Standardization Committee’s SN/K536 on Asset management, and SN/K569 on Revision of Management systems. He has also served on the Board of Directors of Society of Petroleum Engineers (Stavanger section) and the Norwegian Ergonomics and Human factors Society (NEHF). He is a Founding Fellow of the International Society of Engineering Asset Management (ISEAM). Professor Liyanage has earned a BSc specialising in Production engineering (1995, First Class Hons. ), MSc in Ergonomics (1999, Distinction), and PhD in Offshore technology (2003). He has been actively involved in various R&D and joint industry projects at the national and international levels, and has deep experience in public-private partnership initiatives. 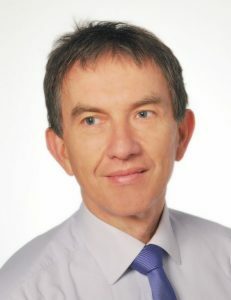 He is an editorial reviewer for a number of international journals, and is the Editor-in-Chief of the International Journal of Strategic Engineering Asset Management (IJSEAM). He has published more than 150 publications, and has been honoured through a number of awards including the Emerald Literati Club Award for Excellence (2004), and Regional Ambassador Award (2014).